Liz is the Chief Financial Officer of Hello Sunshine, the media brand founded by Reese Witherspoon. She tells us all about the company, their mission, and their culture. It’s as good as you imagined. 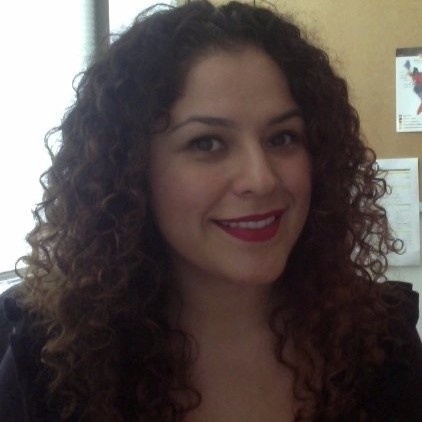 Liz was formerly the Senior Vice President of Corporate Development and Strategy at Media Rights Capital. While there, she worked on the deal to bring House of Cards to Netflix, which was then written up as a Harvard Business Review business case, and she talks it about it here as well. Liz is very much one of the best and brightest, and I’m so happy to have her on the show. Melinda is the Chief Marketing Officer at Extreme Reach. You may notice that Extreme Reach is the sponsor of this podcast, so that’s how I met her, but I would have interviewed her regardless. She tells us a bit more about the company, and we talked a lot about her journey in her work life. How important it is to be authentic, how self-awareness is key to leadership, and how knitting might be the key to everything. And how highly paid executives will still tackle each other when something is being given away for free. Humans are funny. Mari is a writer, journalist, filmmaker and actor. She holds a BA in Journalism and completed the 3 Year Conservatory program at the Stella Adler Studio of Acting in New York. As a journalist, she has over ten years of experience in news, art and entertainment journalism, both in the Netherlands and in the U.S. She is producer and director of VAGILANT, a short documentary film about the Women's March on Washington and was the lead producer on music video project A Whole New World. She co-wrote, produced and starred in The Soothing System, an award winning narrative short film. In 2018, Female Filmmakers Fuse Film Festival in Los Angeles named her Filmmaker of the Year. We talked about her new projects in development, her work within the prison system in New York and how finding your voice and telling your story, as cliché as that is starting to sound, is still imperative. You can find more about Mari here. Michelle directed a gorgeous short film called Piel Canela, that she shot in Cuba and which is screening at several film festivals this week. It will be premiering at the San Diego Latino Film festival March 23, as well as the Chicago Latino Film Festival March 29, and 31st, with a Miami screening happening first weekend in April at the Indie Pasión Film festival! So, if you are anywhere near any of those places, make a point of going to see it. I have seen the trailer and it is gorgeous. You can see the trailer here. 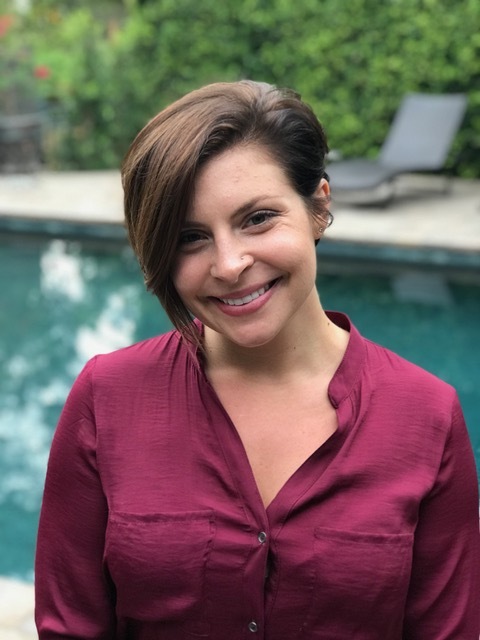 Michelle came up through marketing and editing at Miramax during the heyday, editing with Bunim Murray, and is now writing and directing full time. She tells us the whole story of scouting and then shooting in Cuba, counting all her cash in a bathroom stall at LAX to make sure TSA hadn’t taken any, and her Grandmother’s spirit yelling at her about all of it. You can find more about Michelle and Piel Canela here. Judy calls herself a Creative. She’s an actress, a comic, a writer, producer, podcaster, creator…she does all the things. 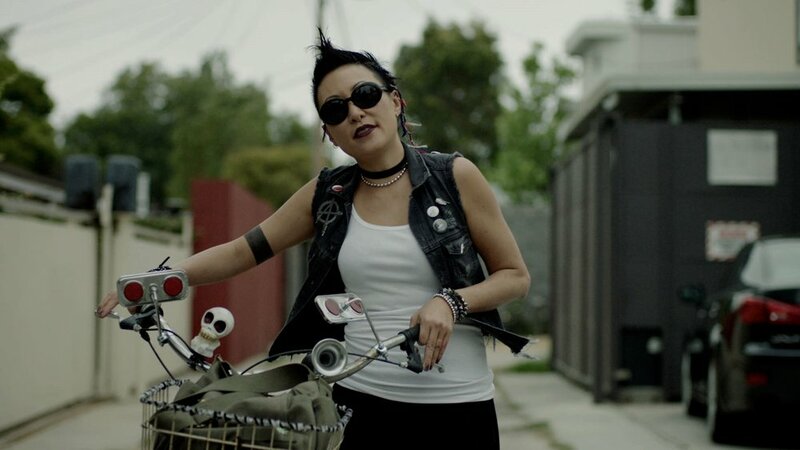 Her webseries, MILFriend will be screened on March 22nd at the TCL Chinese 6 Theatres at the Golden State Festival. She tells us all about it on the show, along with her very interesting personal story, and being perfectly poised to have great success during the United Colors of Benetton advertising era. You can find more about Judy here. Today we have something new - new for the podcast and new for the industry. 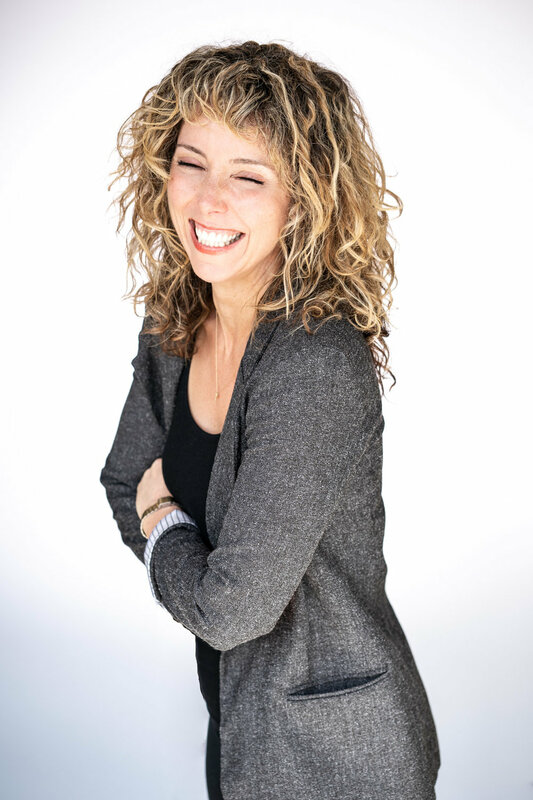 I sat down with Amanda Blumenthal who is one of a handful of people working in the new position called “Intimacy Coordinator.” She is currently working on the HBO show called Euphoria. She breaks down for us what that job really entails, how her unique background, education and work history prepared her perfectly for it, and the real need for this position on a set. It makes total sense and it’s one of those things that makes you hit your forehead with your palm and ask why haven’t we always had this!? You can reach Amanda via her website here: intimacycoordinator.com. Jenny is a multi-award winning director and producer of the long running program called Project Explorer, and the founder of Project Explorer.org. which is a free multimedia website designed to educate kids about global cultures and histories. She has explored six continents, in over 500 episodes, and has met incredible people and seen amazing places. She is currently working on a television show to bring this programming to an even wider audience. Jenny is incredibly purpose driven, an explorer, an entrepreneur, and is living her mission every day. I am very inspired by her and I’m sure you will be too. 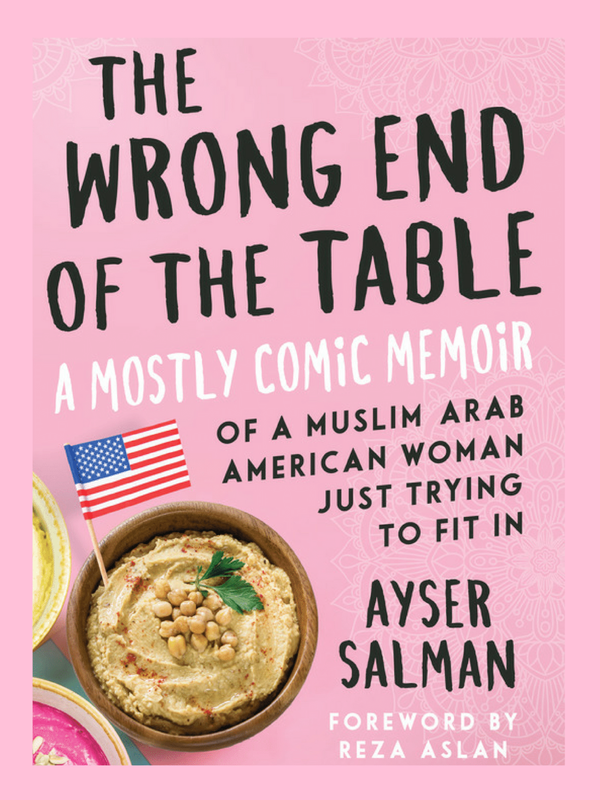 Today I interviewed my friend, Ayser Salman, for the second time, because her book, The Wrong End of the Table: A Mostly Comic Memoir of a Muslim Arab American Woman Just Trying to Fit in is coming out on March 5th, so I wanted to have her on to talk about it. She was previously on episode 47, so that was awhile ago and if I am remembering correctly, it was hilarious, and maybe because we were having wine and cheese. So, if you want to hear her entire story, go listen to that episode, or more relevantly, buy her book. Which you can order here. During that interview, Matt mentioned he was on the men’s committee of #TimesUp, which as you can imagine made my ears perk up and I immediately booked him for this show to dig a little deeper. This corresponds with the feeling I have been having that it is time to start bringing men into the conversation and engaging them in the process toward equality. And Matt is one of the men who are actively evolving and trying to be part of the solution. We talked about #MeToo/TimesUp and harassment, hiring practices, the wage gap, how men are talking to each other, and a little bit about how men can hold each other accountable in ways that will be effective. I was lucky enough to pin down Allie Boettger. Allie is a sound mixer. And I don’t mean the kind of sound mixer who works on a stage, although she can do that too. Allie is the kind of sound mixer that goes around the world on the Amazing Race, goes to Alaska in winter to shoot Alaskan Bush People, hikes to the top of a mountain and then rappels down it. She is super badass. And she is quite the storyteller, so this episode was really fun. As a bonus, she taught me how to wrap my own audio cable, which I had been doing wrong for three years, but am happy to report I now take the time to do it correctly every time. I got to speak with the creators of the webseries called All About Manos – Eden Young and Catherine Natale. Eden is an actor and stand-up comedian turned creator and Catherine is also an actor and writer turned creator. They will tell us all about the show and how they came to do it. You can find All About Manos at allaboutmanostv.com and on a bunch of digital platforms including Amazon Prime. They are killing it on the festival circuit also. We recorded remotely, and it must have been during Mercury Retrograde, because it took us several tries on several platforms before we got something to work. So, the audio quality could be better, but this conversation couldn’t be. They are a delight. 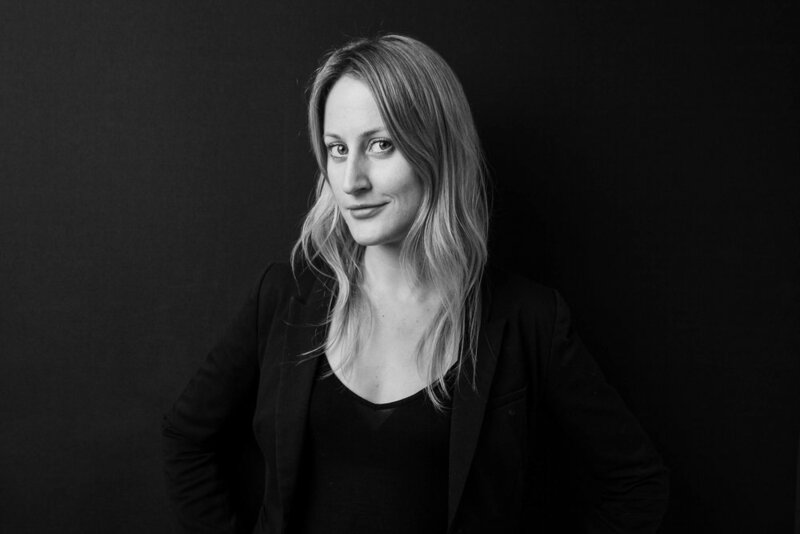 Susanne is the Owner and Executive Producer at renowned production company Independent Media. She has been in the entertainment and advertising industries for over 15 years and worked with some of the feature filmmaking world’s biggest names. This success has also built a knowledge and awareness around the massive gender biases and struggles intertwined within the female entrepreneurial world. We talk about her journey, the world of commercials, and the ongoing struggle for gender equality in the business. For today’s episode I sat down with creator Lisa Ebersole. 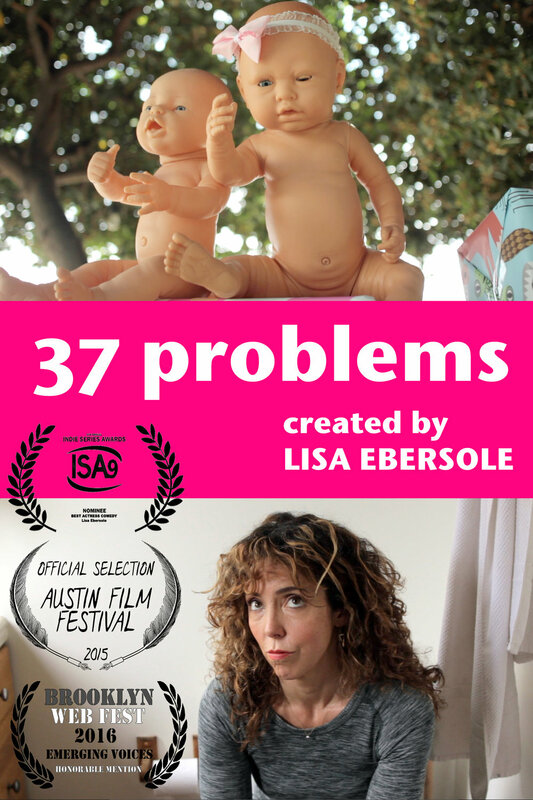 Lisa created and stars in the webseries called “37 Problems,” which you can find on Amazon Prime and Who Ha Ha. The series is a comedy about a woman facing the end of her fertility and what she is going to do about it. She is also a playwright, whose plays have been produced off-broadway and regionally, and a screenwriters coach. We talked about what it takes to raise the money and produce a webseries and get distribution. It’s a whole thing. Paulina Lagudi is a filmmaker who just released Mail Order Monster, which is available on all the streaming services. I gotta tell you, this woman is an inspiration. She’s an artist, a savvy business person, and a force to be reckoned with. We talked about her film and its distribution, female empowerment of the “right kind,” setting boundaries, martial arts and growing up the only girl in a family of men with a single father and how instrumental her step mother turned out to be. Julia started out in broadcast journalism and acting, and then transitioned to working behind the camera. 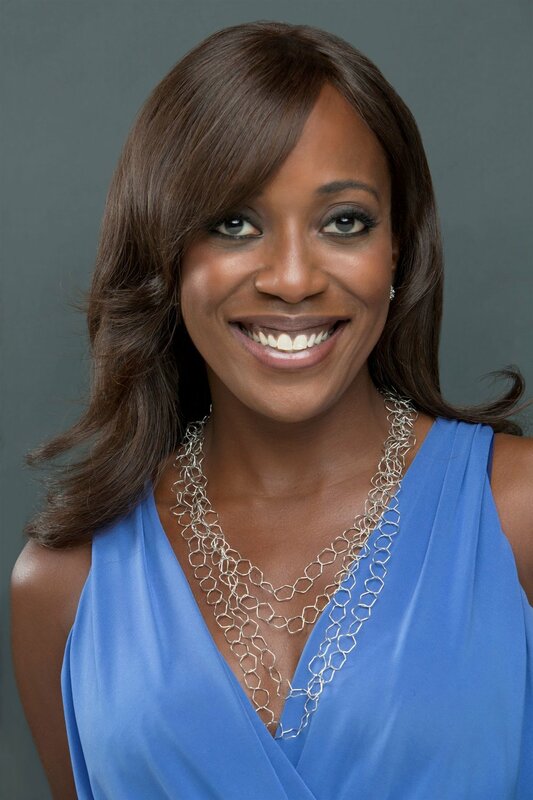 Having worked in the television industry for over two decades and cutting her teeth as a coordinator, writer, producer, shooter and editor for companies like E! Entertainment, Steven Bochko Productions and HGTV, Julia went on to direct, write and produce her own feature film and become one of a handful of female directors to win multiple awards in the film festival circuit and secure world-wide distribution for her first feature film, endorsed by Dr Jane Goodall, Medicine of the Wolf. Julia just finished her short film WOLF SPIRIT starring world renowned National Geographic photographer Jim Brandenburg and will be using the film as a tool for education about the value of wolves and their necessary place on the north American landscape. We talked about her passion projects, tenacity in the business, and the state of women in the world. As we do. JoAnne is a composer, conductor and orchestrator. Among many other credits, Joanne was the composer on the web series Baked Goodes which was also featured on this podcast on Episode 42. She tells me her story from being a choral music education major, to becoming a composer, conductor and orchestrator for film and tv. Like many of us, she has her sexual harassment story, but it also comes with the powerful man in the room who stood up for her and shut it down. More of that please. We talked about her journey, her mentor, and her life as an artist. Liz is a Physical Production Executive. She started out in makeup, then moved over to the camera department, until she started producing and working as an executive. Formerly the VP of Physical Production at Alcon Entertainment, she is now working with Sidney Kimmel Entertainment. Her credits include Point Break, Blade Runner, Dear Dumb Diary, Journey to the Center of the Earth and many many more. We talked about how it is to grow up as the child of immigrants, and be the embodiment of the American dream. And this: we should all be much more transparent about money. 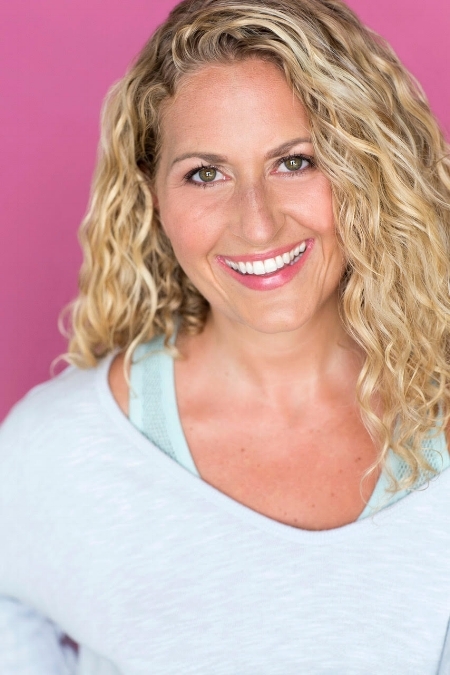 Lisa is an Executive Producer for unscripted television, and her credits include Married at First Sight, I Used to be Fat, Master Chef, Celebrity Rehab, and The Biggest Loser. We talked a lot about telling people's stories and how important it is. And about her transition from telling other's stories to telling her own. Currently, she is producing a documentary about her family, called My Dad, Stephanie. That should be quite a journey. Marie Cantin is a Producer and Educator, having worked in independent and studio film and television productions. She was an Associate Dean at the AFI Conservatory, and in 2017 was the recipient of the Frank Capra Achievement Award from the DGA – a very big deal. Some of her many credits include, Torch Song Trilogy, Save the Last Dance, Dante’s Peak, and Things to do in Denver When You’re Dead. We talked about her long and circuitous journey into the business. At one point she was rumored to be a nun. There’s a story. She says it is important to figure out who you are and how you want to be in the world. This will inform your path. I think she’s right.